If you'd like to read some amazing magic riddles, you're in the right place. 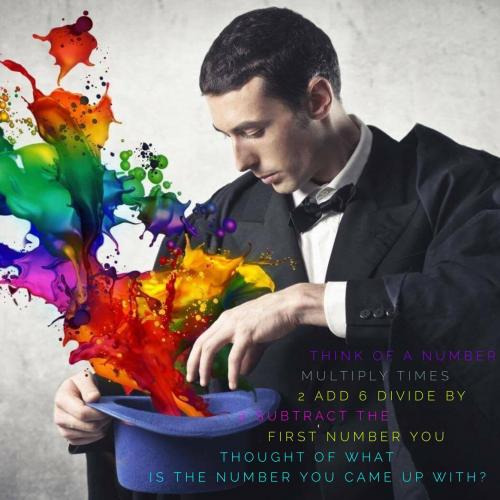 The staff at Riddles And Answers has gathered together one of the finest collections of brain teasers associated with magic on the internet. These riddles are short and full of humor. They are not the most complex of puzzles, so almost anyone of reading age may be able to solve them. If you would like to put this great list of riddles to practical use, set up a party with the theme of magic. You could use these fun magic questions as clues in a scavenger or treasure hunt during the gathering for an outstanding time your guests won't forget. Thanks for visiting and be sure to share. There was once a girl who was always jealous of her sister. One day a genie appeared and told her that he was "half magic" which meant that he could grant her wishes, but her sister would always get two times more than she did. She had three wishes. First, she wishes that she was the richest person in the world, but her sister soon became the richest because she got two times the money. Her second wish was that she was the most beautiful woman in the world, but her sister gets twice as much beauty. What was her third wish? She asks the genie to grab a nearby stick and beat her half to death. When your mom says, "Say the magic word". What should you say? What was my favorite thing at school? Can you come up with a cool, funny or clever Magic Riddles of your own? Post it below (without the answer) to see if you can stump our users.